What We Offer | Hamilton Metalcraft Inc.
Technology changes quickly and you need the freedom to modify and enhance your product to stay ahead. While revisions can be difficult or costly with some manufacturers, we support our clients’ need to be agile. 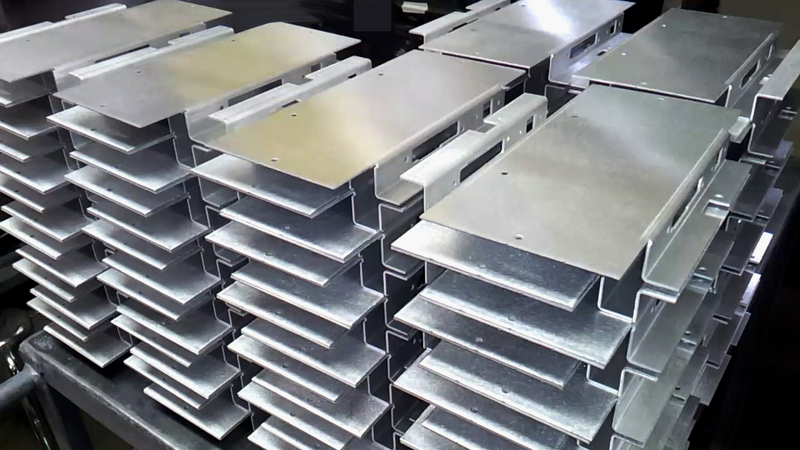 We work with innovative startups and established businesses to produce varying quantities of high-quality fabricated metal products. Single prototypes, one-time orders of fewer than 100 pieces, or standing orders of 10 to 100 to 1000+ pieces per month are all in our wheelhouse. We love to work with our innovative customers because it inspires our own creativity and puts our problem-solving skills to good use. We work hard to earn your trust and ensure your prototype presents the quality and look you need, so that you partner with us once the real production begins. Turnaround is 2 to 3 weeks on most orders. Our Change on a Dime* philosophy means you can make fast changes to unprocessed orders without hassle. In addition to physical modifications, we can also increase the quantity of your monthly standing order and provide faster turnaround in a pinch. How? While some manufacturers produce your entire order at once for multiple shipments over time, we produce our standing orders as we ship them. This gives you the chance to make incremental changes as you need them, and at a much lower cost than expensive and unreliable retrofits. And when emergencies happen, we can adjust our production schedule, hours, and workflow to meet your needs. * The fee for change orders depends on the size and scope of the change. We use only certified metals to ensure alloy consistency, high bend tolerance, and low metal fatigue. And we only work only with suppliers whose metals have consistently shown superior performance over time and whose quality we trust. Most of our staff have worked with us between 8 and 30 years and have been in the metal industry their entire career. Working with customers to produce quality products is not just our job; it’s what we love to do. We consider our clients our “partners”, and our commitment and expertise reflects in the quality of the products and service we deliver.